Jhanelle White is a third year chemistry undergraduate at King’s College London. She is the current president of the KCLSU Chemistry Society, and a representative on the departmental Equality and Diversity Committee. She is a former member of Dudley Youth Council, and founder and chair of the non-partisan organisation Political Sweep. 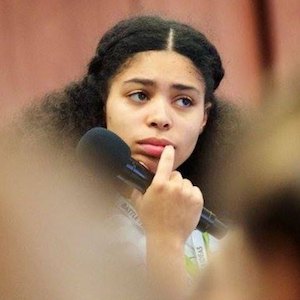 With a history of student activism, Jhanelle previously led the Equality and Diversity Debating Enrichment, and the Student Equality and Diversity Action Group at King Edwards VI College Stourbridge, while sitting as the student union officer for Equality and Diversity. She is also a member of the Labour Party.